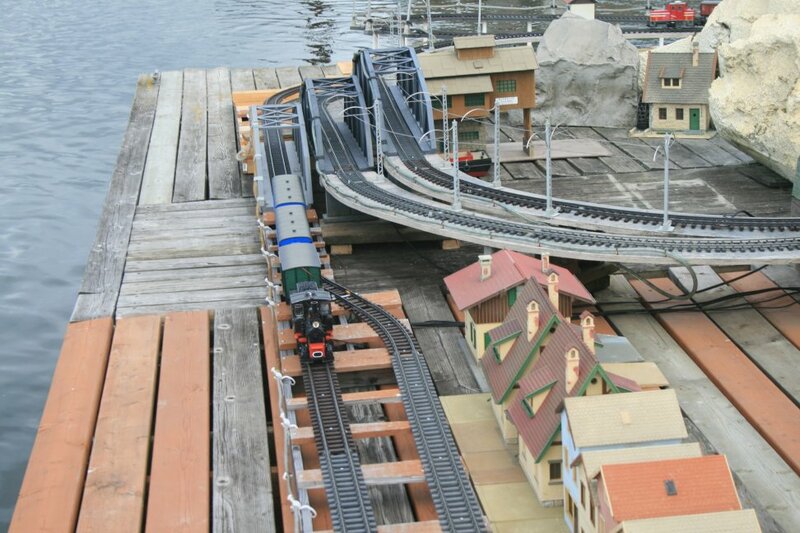 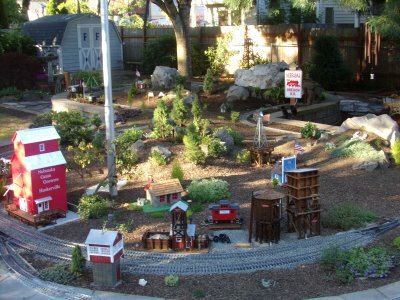 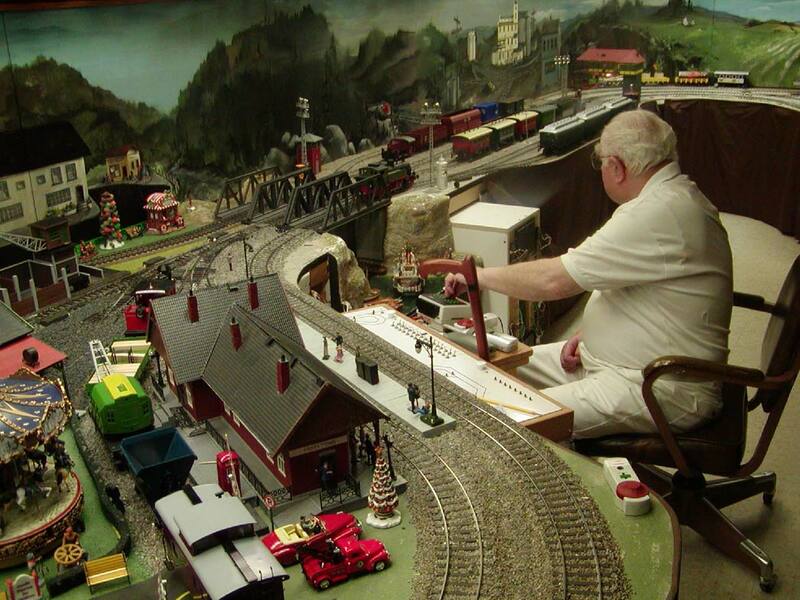 The G&G Railroad has one of the Club’s smaller track layouts. 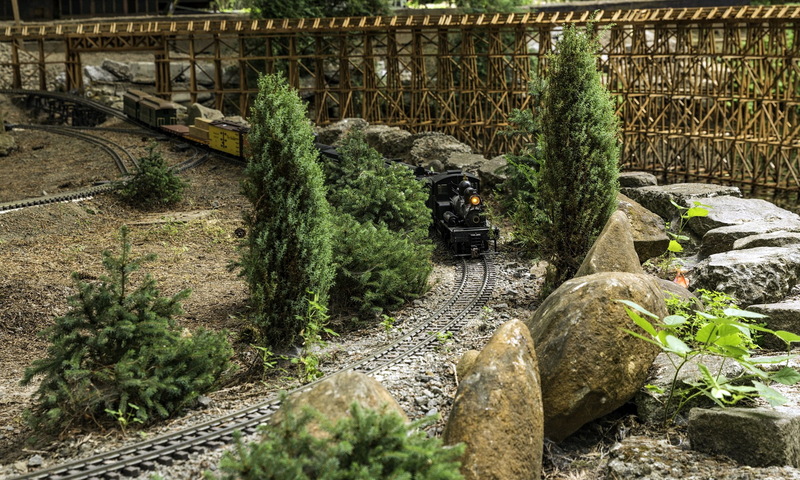 It is a dual track over and under of approximately 260 feet with a 60 foot trestle and 20 foot turnout. 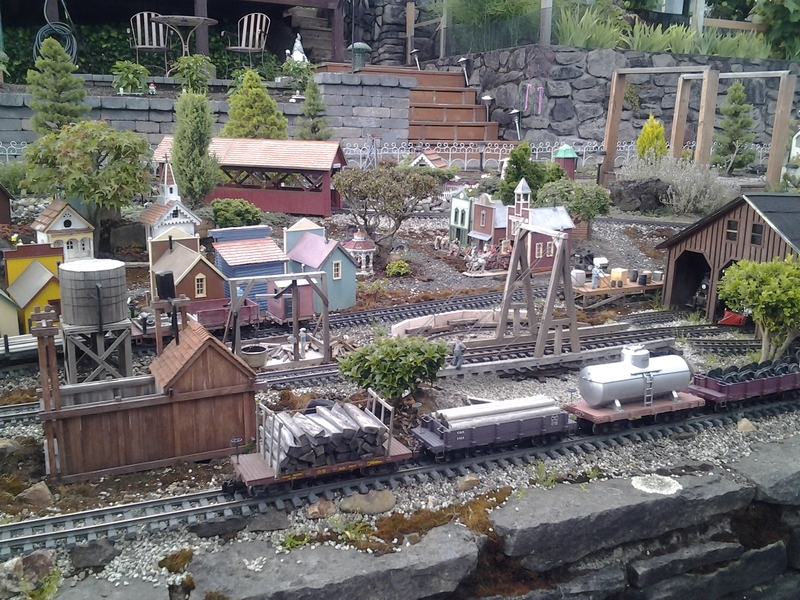 The main railroad was built 14 years ago and the trestle added last year. 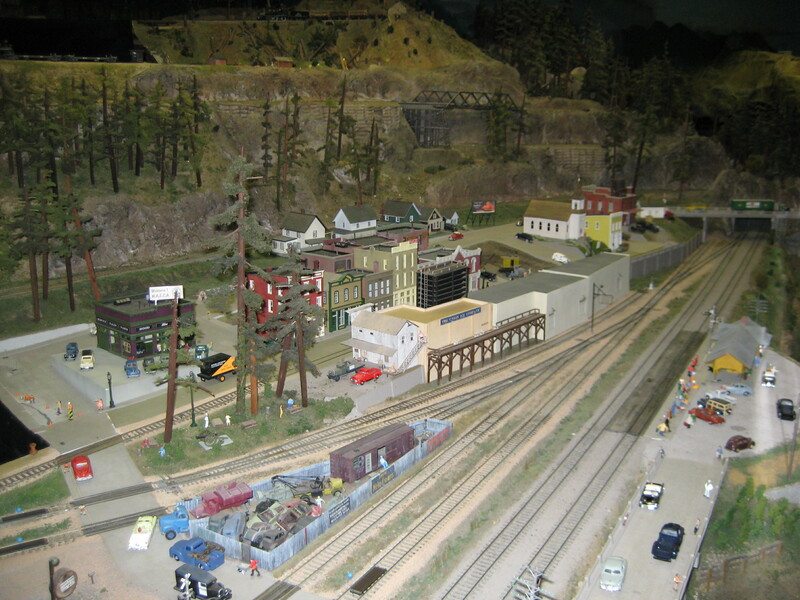 The railroad sits on fairly steep slopes. 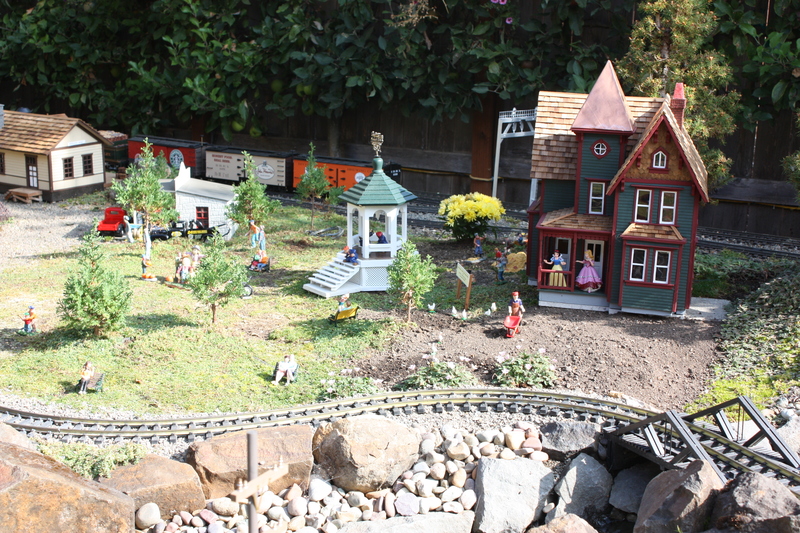 The severity was lessened somewhat with cuts into the hillsides and retaining walls built with over 1100 bricks. 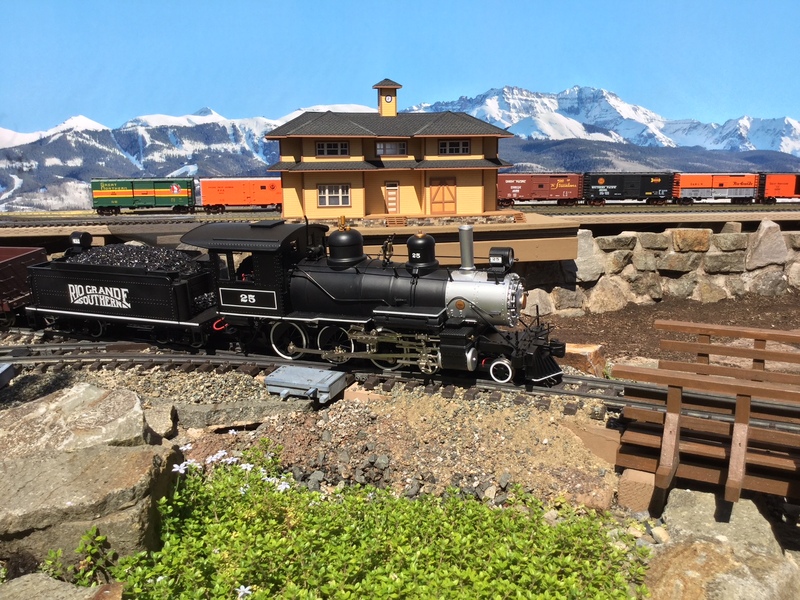 Both narrow gauge and diesel locomotives in all G-scale sizes are run using either track or battery power. 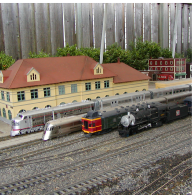 Rolling stock consists of both passenger and freight cars. 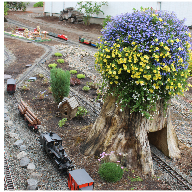 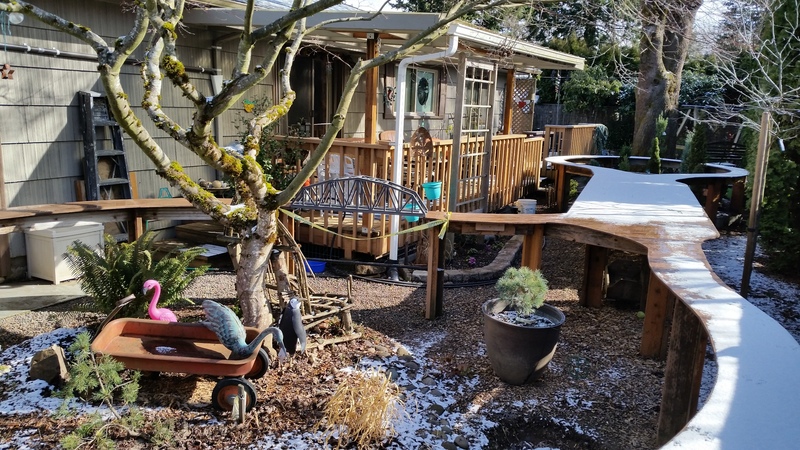 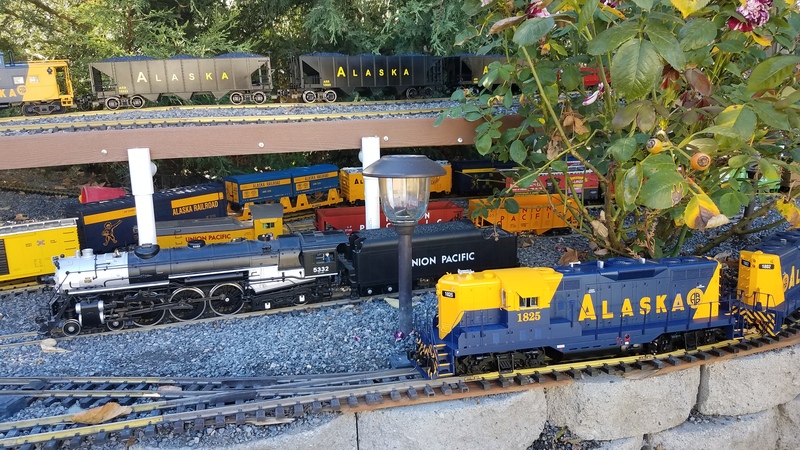 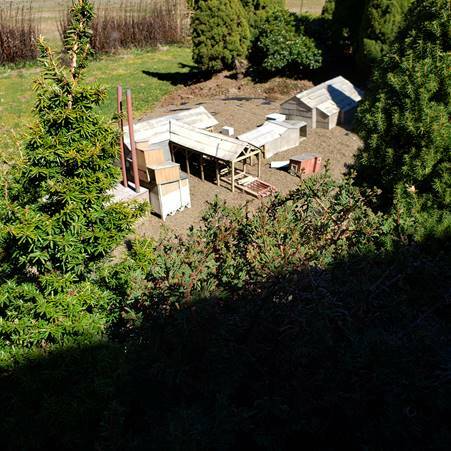 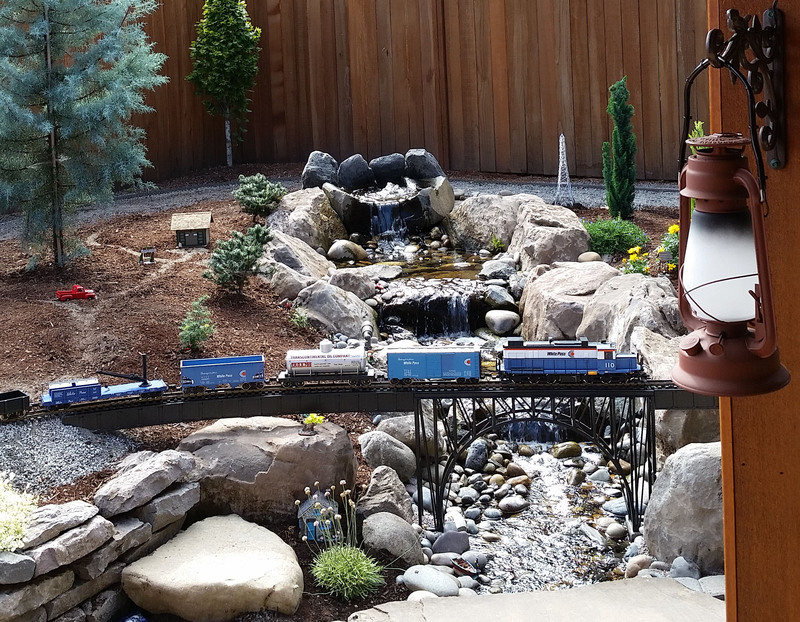 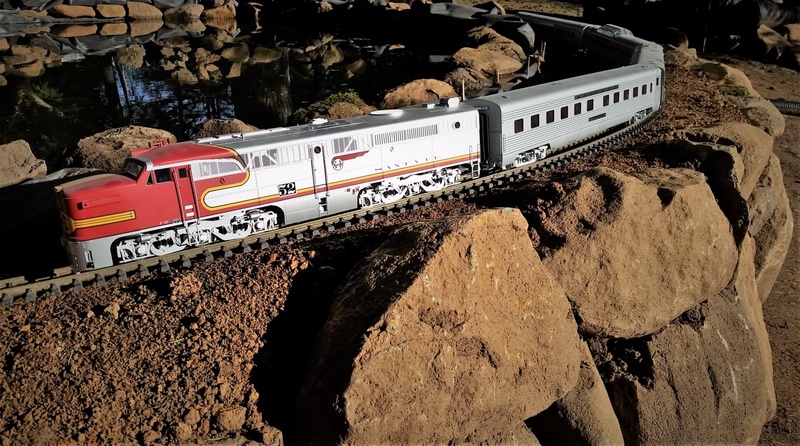 There are a minimal number of buildings and other accessories so as not to detract from what is a true garden railroad with emphasis on the surrounding plants and shrubbery.